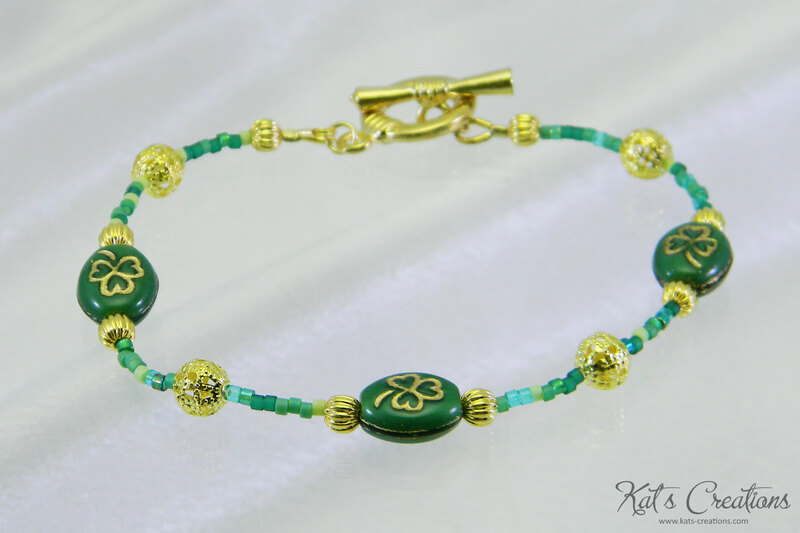 Originally created as a gift for a friend’s daughter, who competed at the international level in Irish Step-Dancing. Perfect for St. Paddy’s Day or any day you think you might need some luck! Just in time for the holidays! 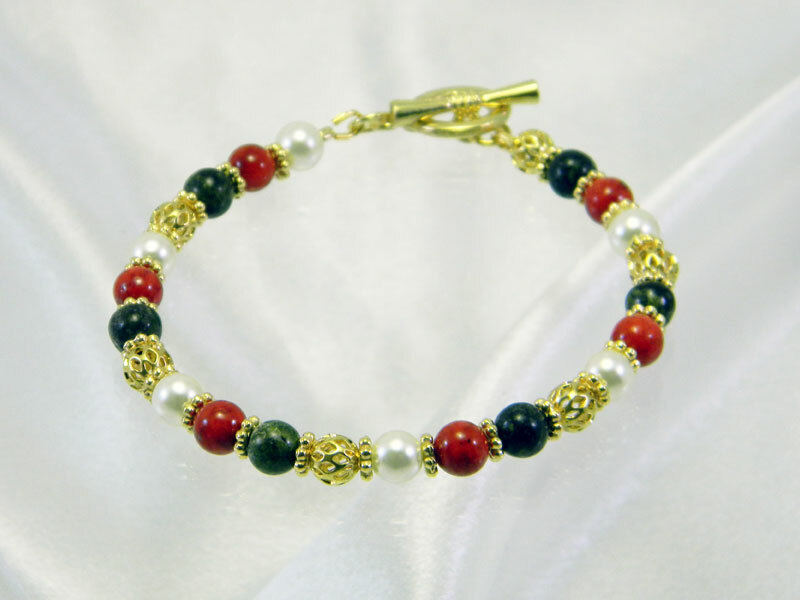 This bracelet alternates ivory glass pearls, red jasper rounds, dragon’s blood jasper rounds, and gold filigree rounds for a festive bracelet fit for any winter celebration!